The Iranian parliament will discuss the issue of raising a $5 billion loan from Russia, Mohammad Mehdi Mofatteh, a rapporteur of the parliament’s ad-hoc budget review committee, told reporters. 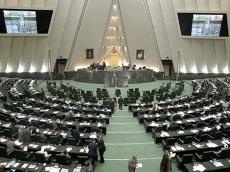 Putting this issue on the agenda of the parliament was approved by the members of the budget committee, Mofatteh added, Trend reports referring to IRNA. The plans about Russia's providing a $5 billion loan to Iran were first announced in 2015 during Russian Energy Minister Alexander Novak’s visit to Tehran. If the loan is approved, these funds will be allocated for infrastructure projects, he added. Mofatteh stressed that the planned export of 20 percent of the energy produced at the Bushehr nuclear power plant abroad was also raised in the discussions of the budget for the next year (the Iranian new year will start on March 21). For this purpose, 12 trillion rials (about $285 million) may be allocated, he added.